Cremation Solutions , a leading innovator in the specialized area of cremation urns, cremation jewelry , cremation crystals and fingerprint jewelry , announced today that they will be offering "personal replica urns" to help survivors memorialize their deceased loved ones. Right out of the world of C.S.I., advances in 3D facial reconstruction and 3D printing are now being used in the funeral industry to produce cremation urns that are as unique as those they represent. The urns, called "personal urns" or "personal replica urns" are extremely lifelike and offer survivors a unique, one-of-a-kind option for personal remembrance. Using only one or two photographs of someone's face, Cremation Solutions will have an urn custom created into a one of a kind memorial. The urn's exterior looks like a photorealistic color bust of the person whilst the inside contains a chamber specially sized to house their earthly remains. The urns can be made in the likeness of yourself or a favorite celebrity or hero. Personal urns work just like most cremation urns, only instead of a screw off lid, a section of the cranium is easily removed to add the precious cargo. 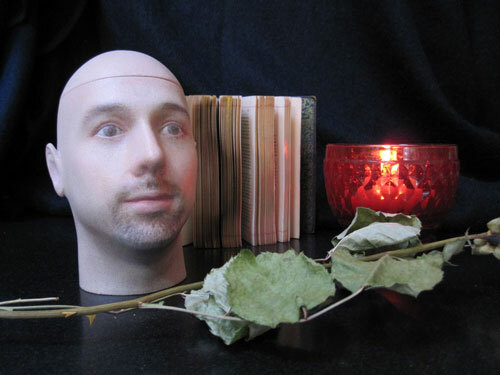 Hair can be added in the form of a wig or printed in 3D. The high-quality craftsmanship makes them a great piece of art that is appropriate to display as a room's centerpiece. Even for those that wish to have ashes scattered, the urns can serve as a piece of memorial art. Personalization is a fast growing trend in the funeral business and these new personal urns are a result of the public's desire for custom personal products. Personal Urns will hold the entirety of person's ashes or, a smaller keepsake size is also available for families who want to keep only a portion of the ashes. Once a facial profile is created survivors can order identical-looking life-sized urns or smaller keepsake urns for every member of the family. Personal Urns Personal urns are a new and exciting way to memorialize your loved one.